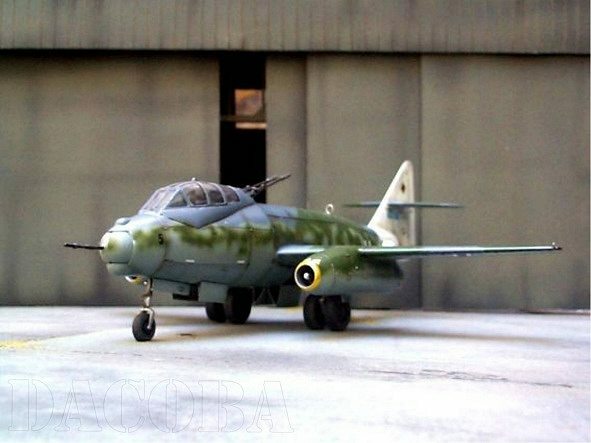 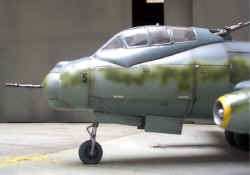 During 1943 the design group of Messerschmitt factory began to develop several projects, from the Me 262, an airplane already in active duty. 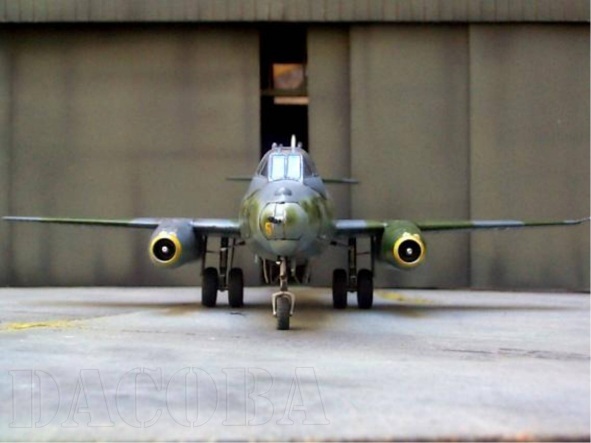 Theses projects were called Me P 1099, all time fighter, with two seats. 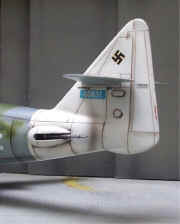 Their main operative mission would be to fight against the allied bombers. 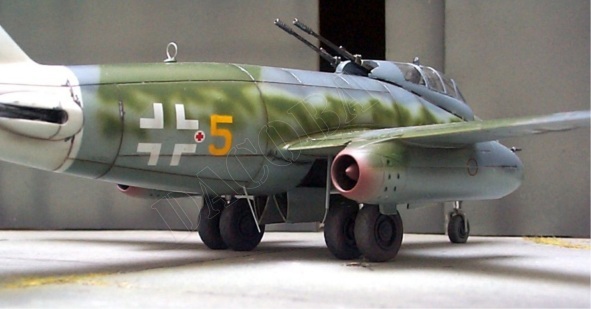 In 1944, a heavy fighter was designed, with a gun system which fired back. 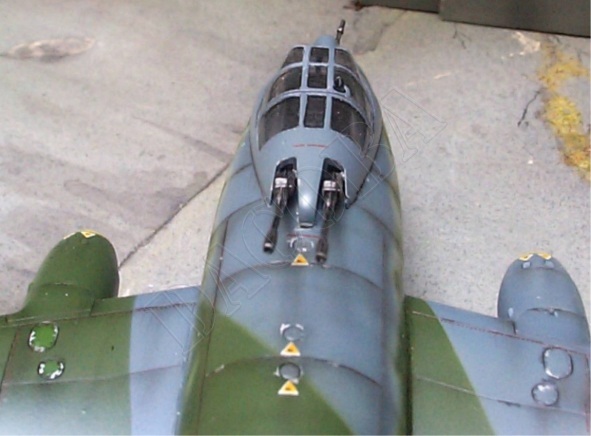 The weaponry consisted of two MK 103 Zs (to fire back), two machine guns FHL 151 on the rear, electrically controlled, and one FHL 151 on the front end, also far controlled. 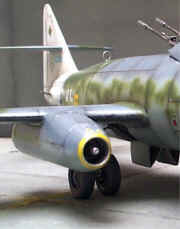 As a temporary solution due to the lack of Heinkel-Hirth type HeSO11 engines, the airplanes would be equipped with Junkers Jumo 004 C.
The speed was estimate between 850 and 940 km/h. 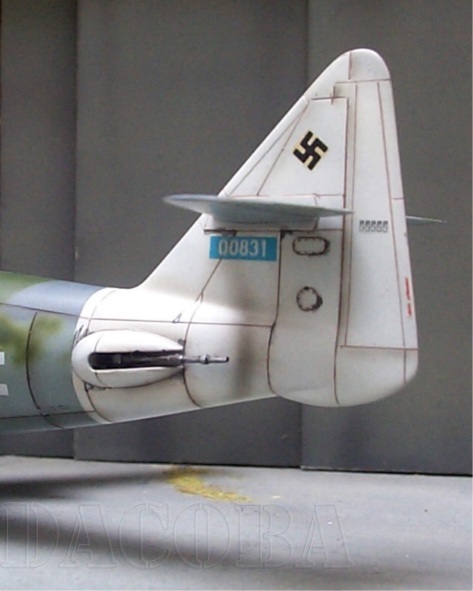 The model shown here is a Revell 1/72th manufactured in Germany, the kit provides 78 very well engineered parts with decals which offer us options to build two 1946 versions.